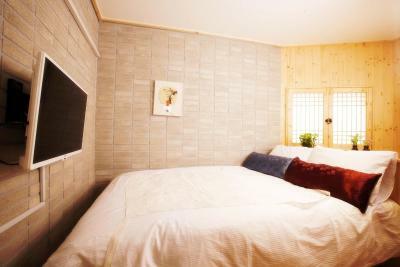 Lock in a great price for Bodeum Guesthouse Seoul Tower - rated 8.7 by recent guests. The room is very clean and tidy. Very kind and helpful staff. The location is very quiet and peaceful. Good amenities. 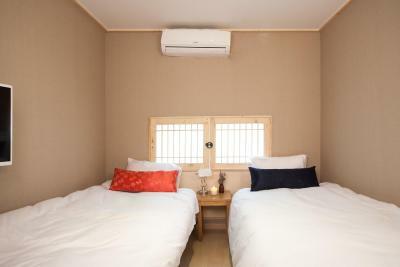 Very nice staff and cozy environment :) Comfortable bed and pillow and clean room! The place is clean and neat. Good design. The staff was very friendly and the location was pretty good as well. 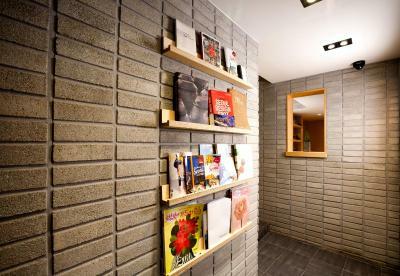 The cleanliness, friendliness of the host and overall design of the place it really feels like home. 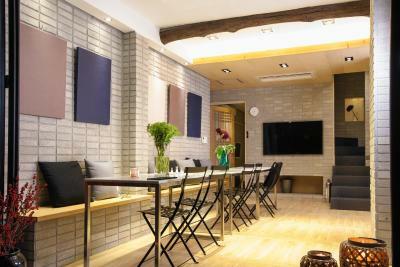 The place is warm and cozy, my wife and I felt very comfortable here. Host was friendly and very helpful. 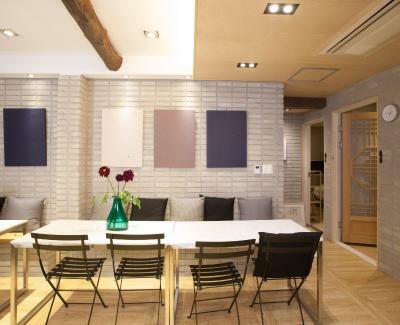 Located less than 10 minutes walk to Myeongdong station. Heated floors are nice. Stored some of our luggage while we took a few days to see Jeju Island. Will definitely stay here again. Comfortable bed, location. Very helpful staff. We received small present for Christmas. 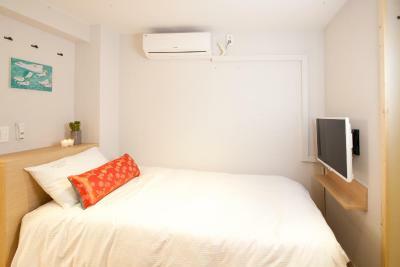 Comfortable & clean room. 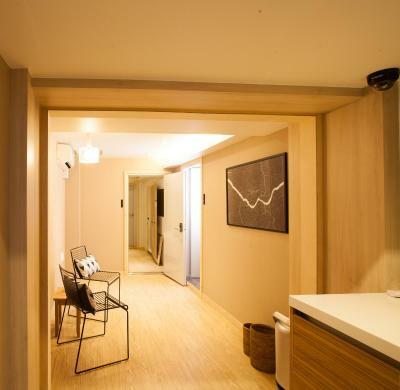 If you have family, it makes sense to book the whole basement floor for privacy. The massage chair for tired legs :). Bodeum Guesthouse Seoul Tower offers modern guestrooms with a hint of traditional Korean décor, conveniently located within a 10-minute walk from Myeongdong and Hoehyeon subway stations (Line 4). Property-wide WiFi is available at a daily fee, and public parking at a nearby location is possible free of charge. 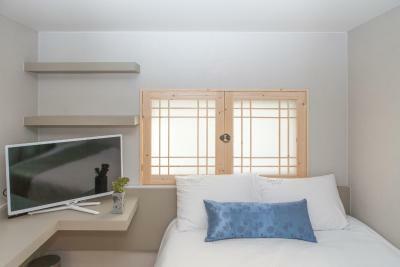 Each room at Bodeum Guesthouse is air-conditioned and comes with a flat-screen TV. These charming rooms with hardwood flooring and wooden furnishings come with a private bathroom with a shower and a hairdryer. Guests staying here are entitled to use the modern lounge and TV area as well as the communal kitchen with coffee machines and a dishwasher. 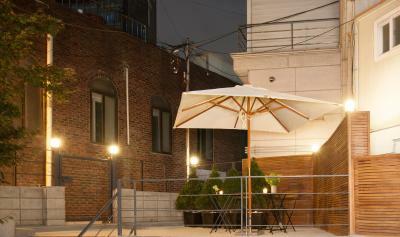 An outdoor terrace is also available for guests’ use. 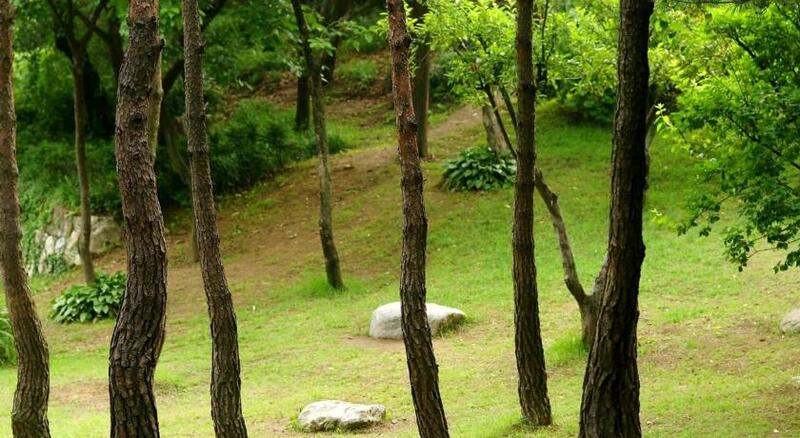 The cable car station to N Seoul Tower is a 5-minute walk from the property. 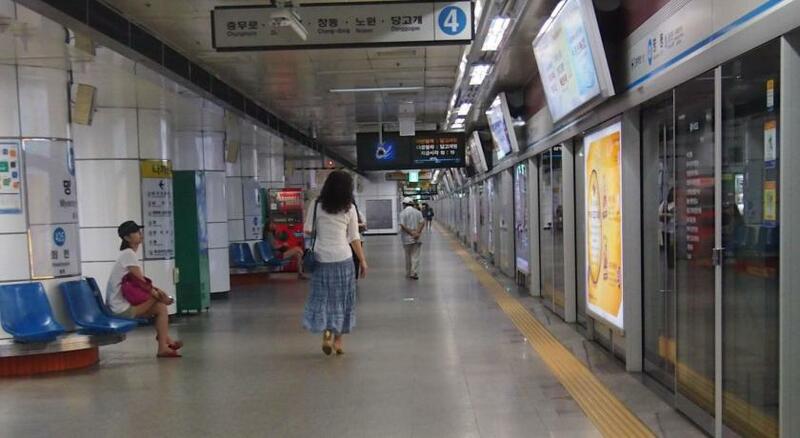 City Hall and Deoksugung Palace are a 5-minute taxi ride away and Seoul Station is within a 10-minute drive away. 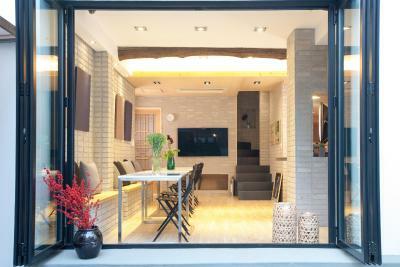 It is a 60-minute drive from the property to Incheon International Airport. 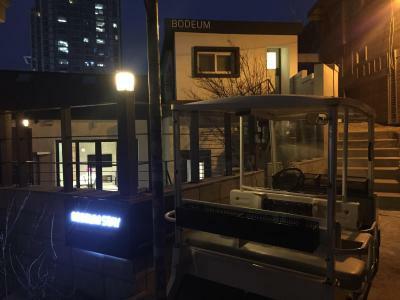 Bodeum Guesthouse Seoul Tower has been welcoming Booking.com guests since 7 Jan 2015. 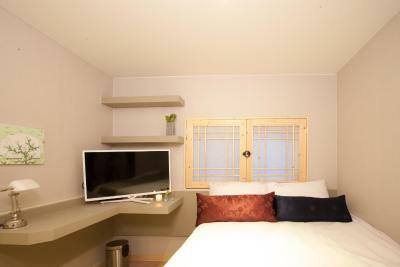 When would you like to stay at Bodeum Guesthouse Seoul Tower? Property surroundings – This neighbourhood is a great choice for travellers interested in shopping for cosmetics, shopping and shopping for clothes – Check location Great location - show map Guests loved walking around the neighbourhood! 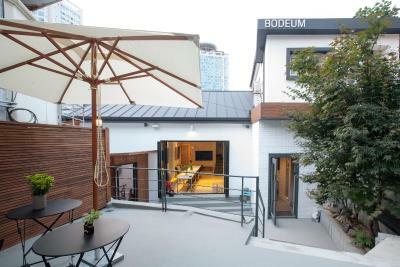 House rules Bodeum Guesthouse Seoul Tower takes special requests - add in the next step! 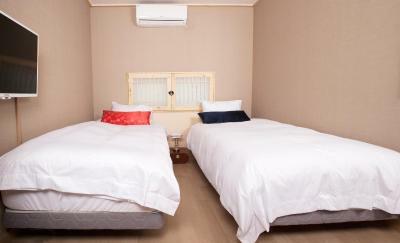 One child from 12 to 18 years is charged KRW 10000 per night in an extra bed. 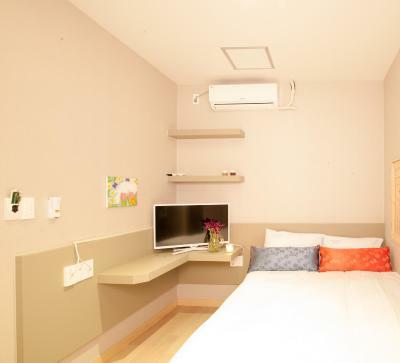 One older child or adult is charged KRW 10000 per night in an extra bed. Bodeum Guesthouse Seoul Tower accepts these cards and reserves the right to temporarily hold an amount prior to arrival. Please note that early or late check-in is only available upon prior request and is subject to availability. 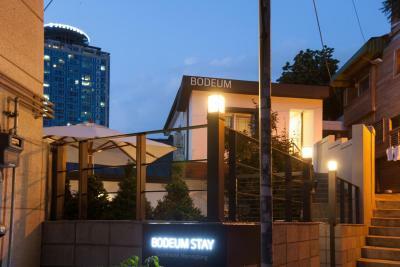 Please inform Bodeum Guesthouse Seoul Tower in advance of your expected arrival time. You can use the Special Requests box when booking, or contact the property directly with the contact details provided in your confirmation. Very comfortable a d quite place. The location of the guesthouse is a bit hard to find. good breakfast, thanks so much! My room was like a bunker. You have to go down the stairs and there was no window at all. Also the ceiling of the bathroom was very low. The towel was very small, like a hand towel. 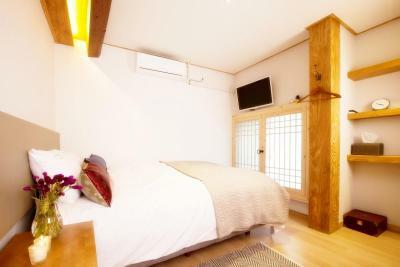 This is a cosy guesthouse which has been designed beautifully and thoughtfully. The staff were super friendly and spoke good English, they allowed us to have early check in and recommended places to eat near by. I was surprised but happy to see that they had a washing machine in their communal space, and in the morning you could help yourself to teas and coffee, fresh orange juice, cereal and delicious bread to make toast. 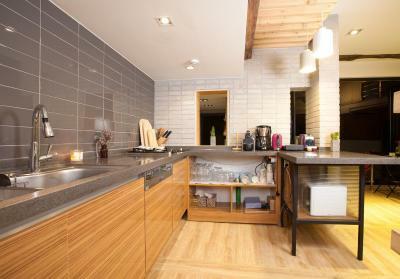 There is also a fridge and small kitchenette so you could easily make yourself a small lunch if you were on a budget. 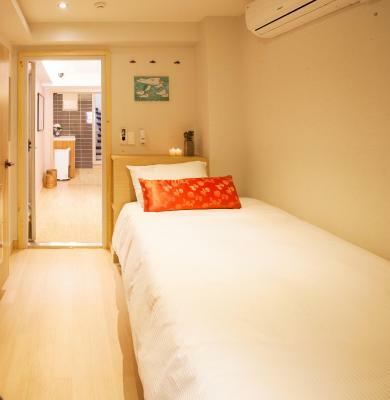 It is quite a compact guesthouse and the walls are quite thin so you do need to be considerate of other guests but for me that just added to the serenity and the relaxed feel of this place. The guesthouse is in a great location and is just a stones throw away from the lift that goes to the observation tower in the park. There are loads of places to eat and drink nearby and even a Michelin starred restaurant 5 mins away. 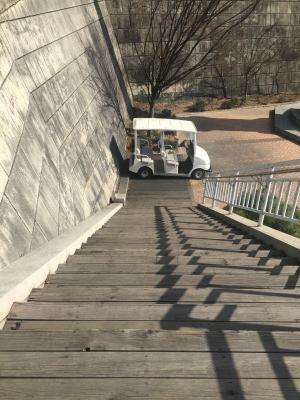 Seoul is a very hilly place and the guesthouse is located at the start of the park so if you are elderly or have any issues with walking just check with them incase it’s not suitable for you. Nice breakfast, but could have a simple additional option, perhaps a fruit like a banana, apple, orange, etc. The staff was amazing! From time of booking, and even after checkout! Emails with questions were answered promptly and politely and they were very accommodating. We had a last-minute change of schedule and though we contacted the staff at like 11pm the day before check-out we got a response and solution to our inquiry within 30min! Though the guesthouse is indeed located on a steep hill which might be an issue to those traveling with large and/or heavy luggage, it was perfect for us as it was just a short walk away from the bus stop and metro station and also close to the Namsan mountain (there is a wonderful running/walking trail and stairs leading directly up to the N tower!!). As we are runners we really liked having a car free running path so close to the guesthouse for early mornings, mid-day and evening runs! Had hard time to find it even watched videos in YouTube , prepared the map for taxi driver in local language , and called hotel staff for taxi driver. Still stayed in cold air for 2 mins . But after found it , everything got great. It is hard to find the location upon arrival all by oneself. 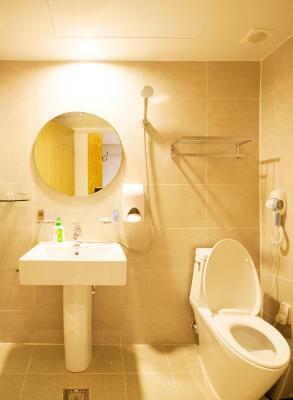 Bathroom is a little small and not so soundproof at night. Really really near the N Seoul tower. Staff are quite nice.